Today as the title suggests I am talking about someone who has influenced my stitching and has made me not afraid of colours and to be bold with my work. To think all those years ago this man designed such beautiful patterns and I am sure it is what a lot of designers today take as inspiration. 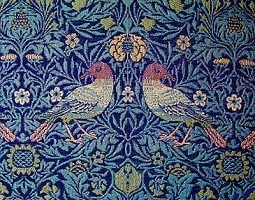 The last few years birds have been popular and of course William Morris had them incorporated into fabrics years ago. 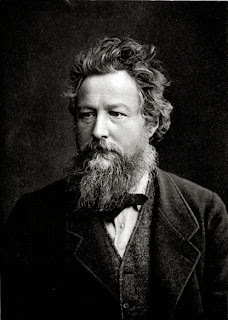 He was born on the 24 March 1834 and was an English textile designer and artist and was one of the founders for the Society of the protection of ancient buildings! He was revolutionary for his time. 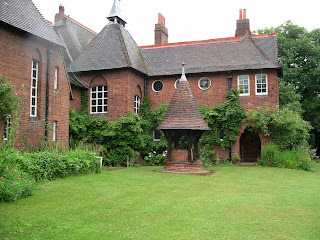 He taught himself to embroider and trained his wife Jane and her sister Bessie as well! In the Autumn of 1864 he had to choose to give up his beloved home ' The red house' or his work in London so he moved himself to under the same roof as his workshops in 1865. This is located in Bloomsbury London in Queens Square. His changed his business names a lot but the most famous was Morris and Co. 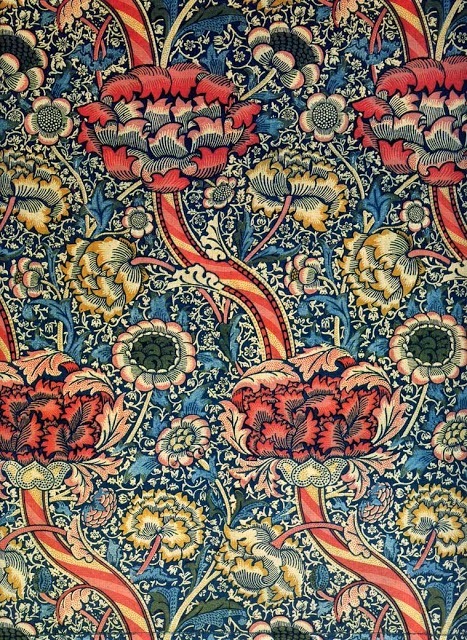 The firms designs are still sold today under licences given to Sanderson and sons (which market the brand Morris and Co) and Liberty of London. 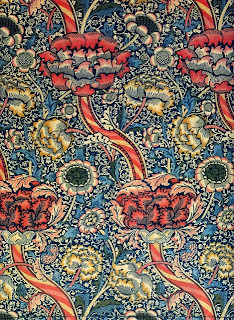 William Morris died on 3 October 1896 but his designs live on and are still stunning and sought after today. Wonderful use of colour and design. We should have nothing in our homes which we did not either know to be useful or believe to be beautiful! William Morris 1880 - from the Beauty of life lecture.